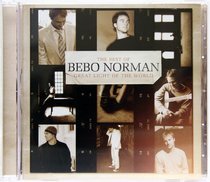 :Great Light of the World - The Best of Bebo Norman, is the definitive Bebo Norman collection, and features the hits: 'Great Light of the World,' 'Nothing Without You,' 'Disappear' and many more of your favorites. Follow the journey of your heart through the songs of one of Christian music's premiere singer/storytellers. About "Great Light of the World: Best of"